If you’re looking for a place in Alaska to experience everything winter has to offer, look no further. This tiny Alaska winter wonderland is one of the best places to go during your winter weekend! 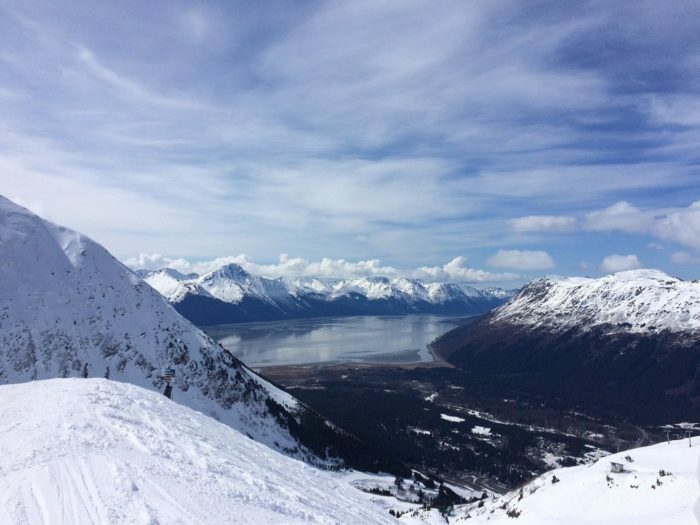 Girdwood, Alaska is filled with picturesque snow drenched mountains, frozen ponds to ice skate, and plenty of places to ski! Girdwood, Alaska is a tiny little town about 40 miles outside of Anchorage. This town has a population of less than 3,000 residents, but boasts one very cool fact: it is the northern most temperate rainforest in North America! 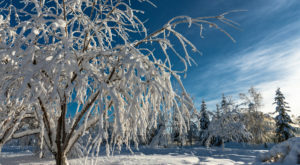 Due to this amazing climate fact, Girdwood accumulates massive amounts of snow during the winter! 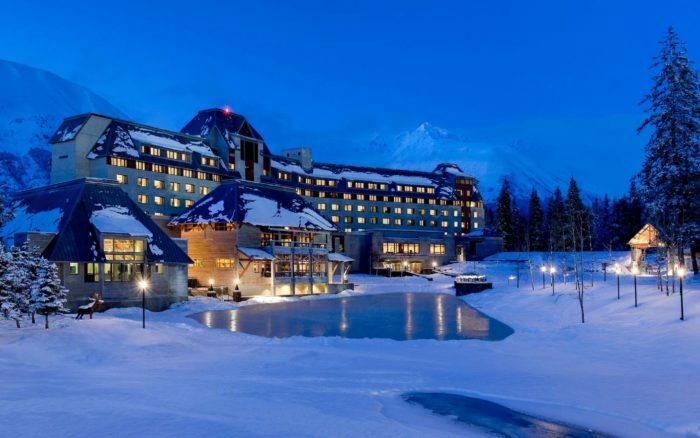 Home to an award winning ski resort, Alyeska Resort is a hub of winter activity. 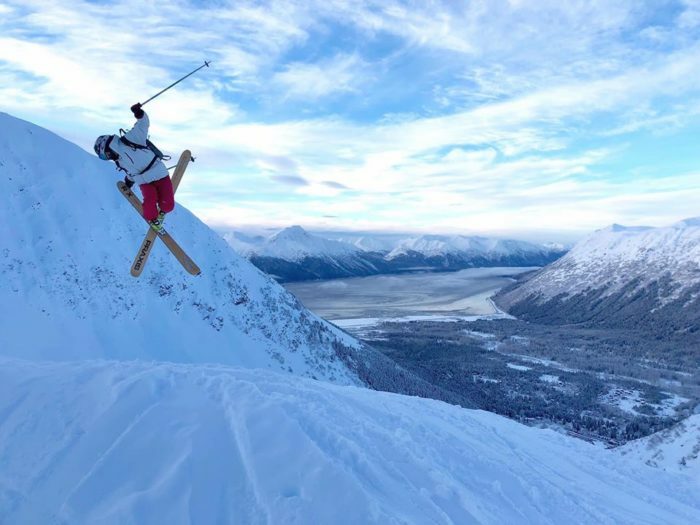 With six dining options, a ski mountain that gets over 600" of fresh powder a season, and a gorgeous frozen lake to skate on, Alyeska offers winter tourists a great stop on their trip to Girdwood! 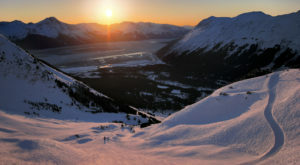 Alyeska Resort boasts 7 lifts, and one of the only ski resorts whose base starts at sea level. With a vertical rise of 2,500 feet, it hosts a reputation as "Steep and deep." 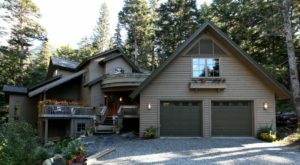 It hosts 76 trails over 1,610 skiable acres! They also offer two magic carpets, and is a great spot for all levels of skiers. The Ski Inn is another lovely little place to stay in Girdwood. This Inn is located conveniently right downtown. 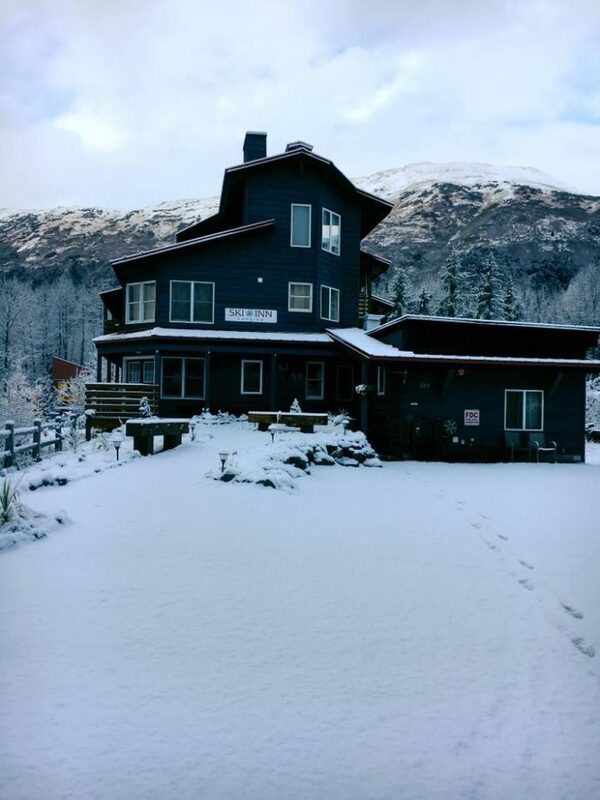 This is a boutique inn just steps from many Girdwood amenities, including restaurants, coffee shops, and a market. 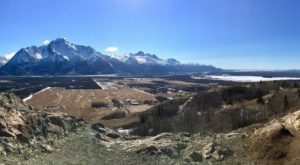 One of the wonderful things to do in Girdwood during the winter is hike! The Winner Creek Trail is a huge favorite winter or summer. While the Hand Tram on the trail may be shut down for the winter, that doesn't stop the amazing views peeking out from your trail. 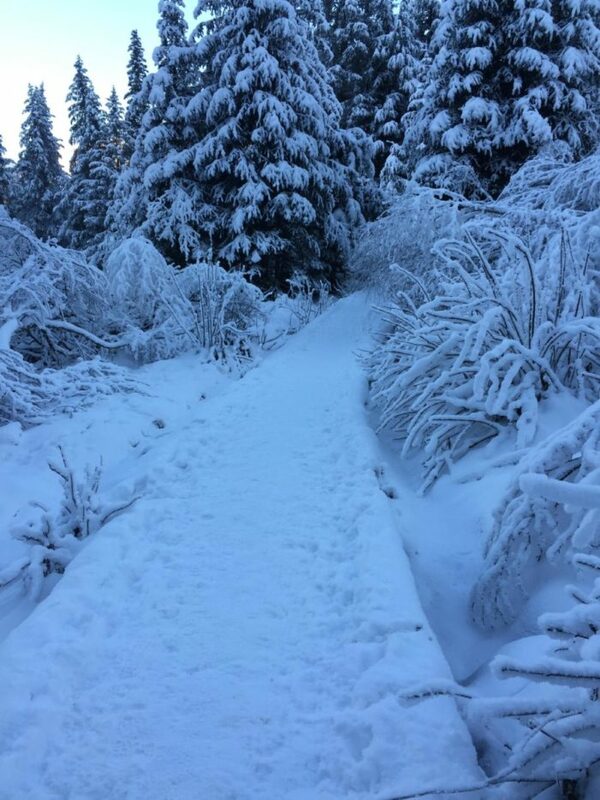 In the winter the trail is like a path through a winter wonderland; tall pine trees, weighed down with thick, fresh snow. It makes for a beautiful afternoon trek! 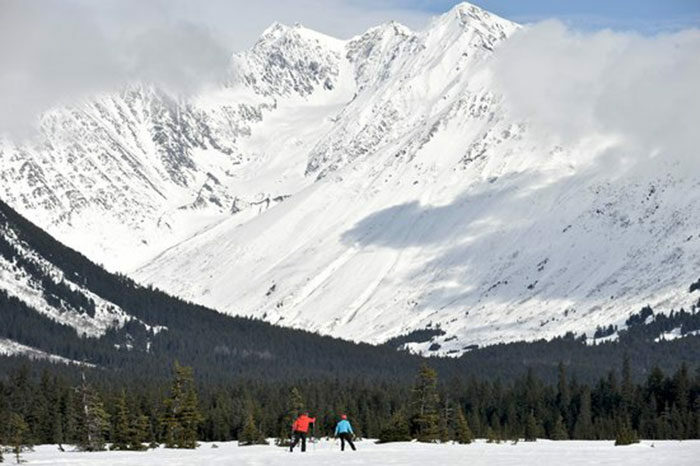 Another thing that Girdwood can boast about is its cross country ski trails! Moose Meadows Ski Loop is a fast favorite for cross country skiers of all skill levels. But don't forget the 5k Nordic Loop! It's an excellent moderate to difficult trail that must be skied counter clockwise. Skiing through the trees is heavenly, and it's frequently very quiet. 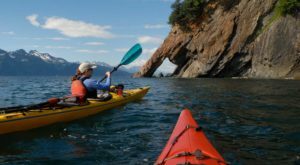 There are so many adventurous options in Girdwood! Chugach Powder Guides is an excellent choice for backcountry exploring around the area. 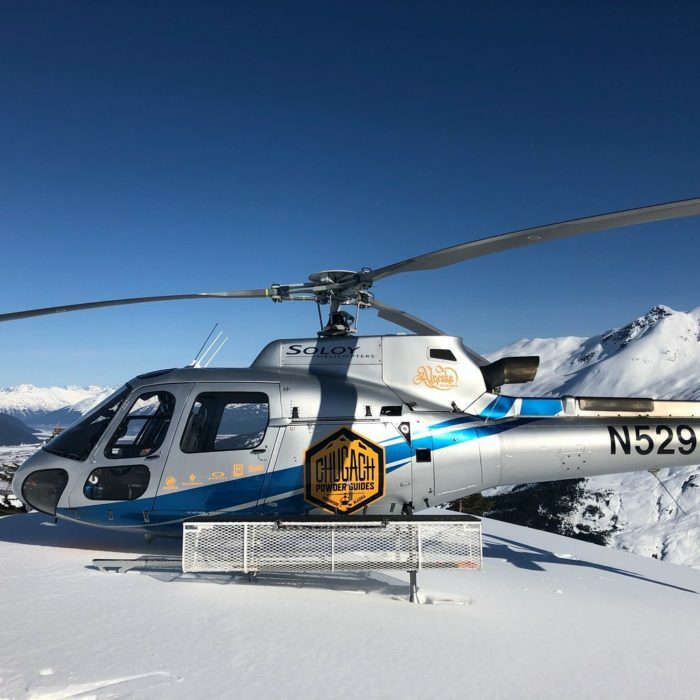 With heli ski trips, there are hundreds of thousands of back country acres to explore, and your guide will know the perfect spots to take you. They also offer guided trips of ski-touring and snow biking! An excellent choice if you're looking for more of a winter adventure on your trip. After an amazing day in the snow, no matter what you choose to do, the perfect end is always a great restaurant. 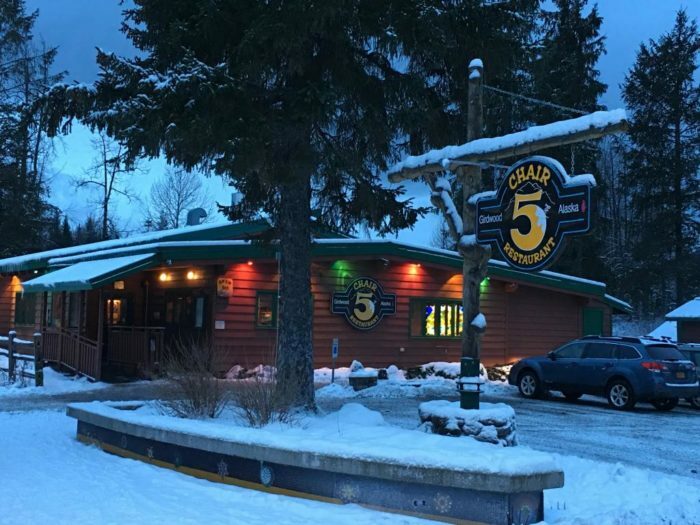 Chair 5 is renowned for their awesome pizza, whether you choose their regular pizza or the delicious deep dish. They also have a full menu of flavorful choices, and an excellent beer and wine selection. You won't leave hungry! 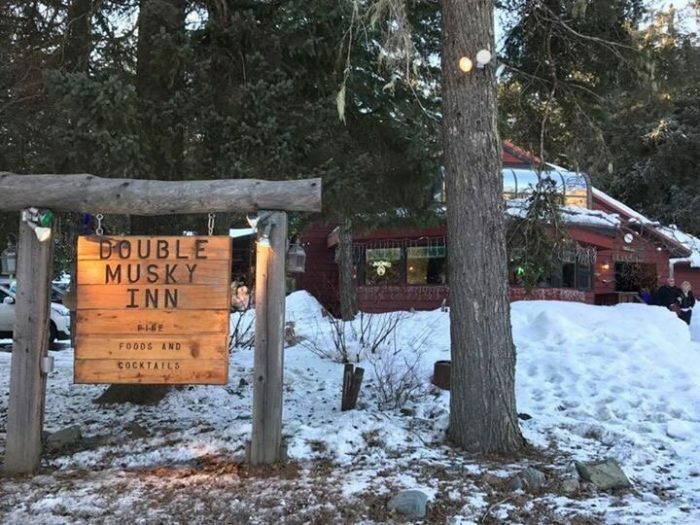 If you're looking for a dinner option a little more upscale, definitely head to the Double Musky Inn. 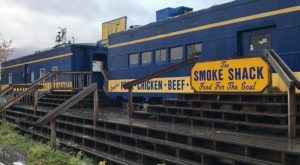 Built in 1962, this restaurant is a staple in Girdwood cuisine. With crowd favorites like the famous Pepper Steak, and New Orleans style dishes with Alaskan seafood. This restaurant has been featured in countless articles, and just hit "Best Of " on the Food Network Channel for Best Steak in America! 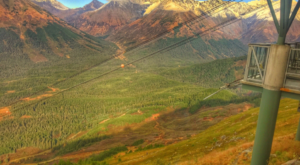 What is your favorite thing to do when you visit Girdwood? Tell us below! 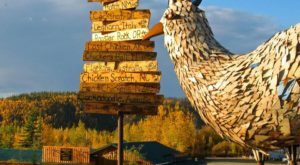 Want to make a stop on your way to Girdwood? Make sure to visit This Teeny Tiny Brunch Restaurant You Have To Try!